Extreme weather events such as heavy downpours of rain, tropical storms, and drought are occurring with increasing intensity and duration. For coastal waters, a continuum extending from tidal rivers, wetlands, estuaries, to continental shelf waters, these events often carry enormous societal and environmental impacts. Coastal waters provide food, shelter, recreation, and a variety of ecosystem services crucial to the roughly 40% of the world's population living near the coast. Ecosystem health is linked inextricably with the biogeochemical cycling of carbon (C) and macronutrients such as nitrogen (N), phosphorus (P), and silicon (Si). Population density and economic activity, including land use practices in coastal watersheds, exert stressors on coastal waters and make their carbon and nutrient cycles susceptible to perturbations by extreme events. The importance of extreme events for coastal ocean biogeochemistry remains largely unknown because while events such as storms are ephemeral, lasting perhaps a few days to a week, their effects on coastal environments can possibly last for multiple years to decades. Periods of drought may severely reduce land runoff, emphasizing the importance of internal processes within coastal waters. A current paradigm termed the Pulse Shunt Concept describes the effect of extreme events on solute fluxes, but does not consider the effects on downstream ecosystems such as coastal waters. The response of coastal ecosystems to either type of event requires a deeper understanding of shunts of material to coastal waters vs. processing of C, N, P, and Si within them. Modulation of the ecosystem state of coastal waters as C sources or sinks is a key knowledge gap and has large consequences for the subsequent effects on eutrophication, hypoxia, acidification and potentially habitat and resource changes in the coastal zone. This Topic will advance our understanding of the role of extreme events in carbon and nutrient processing as well as in their fluxes; important steps toward predicting future biogeochemical cycling of C, N, P and Si in a stormier world. 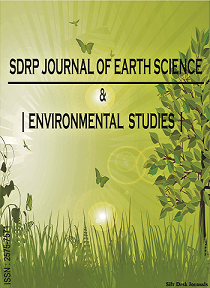 We welcome submissions of original research articles that investigate biogeochemical and ecological consequences of extreme weather events for the coastal zone to enable a deeper understanding of how carbon and nutrient fluxes and cycling are impacted by these events. We seek contributions from scientists working across the coastal zone continuum. We especially encourage submissions that encompass process and/or observational studies, as well as modeling. Submissions that incorporate results of close-interval, repeated and continuous sampling techniques are particularly welcome.